Ironic that the Carbon cult who would accuse skeptical scientists of believing the moon landing was faked are now furiously adjusting the data to “disappear” the Pause. 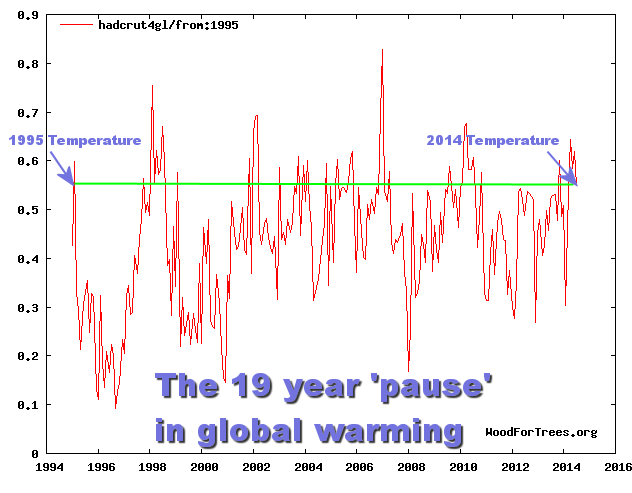 Actually, the very word “pause” presumes that warming will resume. Time scales become important in this regard. We live in an ice age. The fifth that we know of in the Planet’s history. The first four ice ages ended and the planet returned to its average temperature, several degrees warmer than today. Trouble is, we have absolutely no idea why the planet goes into ice ages. We therefore have no idea why they end. It is reasonable to suspect that whatever mysterious forces push the planet into ice ages might also be at work causing the fibrillation between glacial and interglacial periods within ice ages. Yes, it is reasonable to suspect that the very same mysterious forces may be causing the Pause. 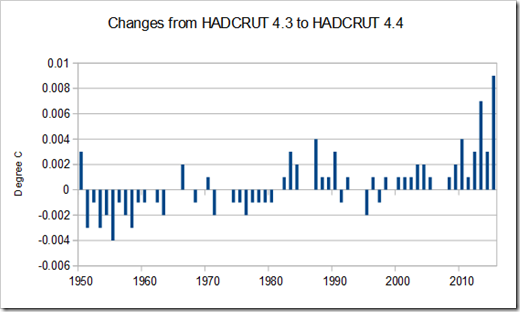 Funny thing about temperature data, you can’t just go back and measure it again. The data were not collected by skeptics. It was proudly collected by the Carbon cult with the full expectation that it would further validate their superstition. To their consternation, it didn’t. Now they are adjusting the data, cooling the past and warming the present to tip the pause out of dead level. This entry was posted in Anthropology, Carbon Theology, Climate, Global Warming Denial, the "Pause" and tagged the pause. Bookmark the permalink.